W&C give some hint as to the magnitude of musical spaces yet to be explored. Great music for concentration too - I aced ancient Greek in college, and my secret was studying to the sounds of Antarctica and A Dream of Blue. On a side note, if anyone knows Josh who used to work at Q is for Choir in SE Portland back in the early-to-mid aughts please tell him I’d like my one-off live CD (that Carl made for me) back. Not very nice to borrow and then keep it. I’m at wmsts at yahoo. Thanks. Fantastic meditations on the good, easy, melancholy & dreamy side of life through music. Perfect for a Sunday morning..........and then breakfast ! As it turns out, few people on Discogs ever heard of W&C. Which, to me, is quite sad. They are, what i would call "The Wire" band. It means that if you love to read magazine called "The Wire" (or visiting their website often), you already know who they are. W&C are producing music since the early 90's, but yet to achieve any sort of success outside of indie/avantgarde circle. Their music is mostly about guitar drones (+ female vocals, appearing in some songs), but not in the vein of, say, Maeror Tri or Final, with more warmth/emotion and less emphasis on abstraction. 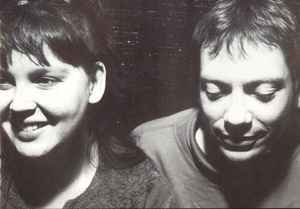 They are not strictly shoegaze band, but if you're into Slowdive or My Bloody Valentine, you have to listen to any of their CDs.